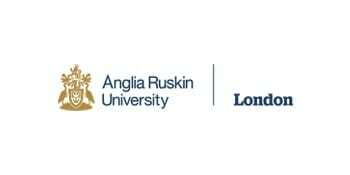 Anglia Ruskin University is an innovative university that was recently named in Times Higher Education as the only university in the UK to be a ‘rising star’ and one of the institutions predicted to be challenging the global elite by 2030*. Studying at Anglia Ruskin University ensures that academic standards and the quality of learning opportunities built into your degree course are at the highest level. We ensure that not only are our lecturers academically highly qualified, but they also boast significant real-world business experience. That’s why all our lecturers are currently working or have worked within the sector they teach. Ensuring students don’t just receive theoretical knowledge from their textbooks but also valuable practical examples. Perhaps most important of all, they are all great lecturers – adept at communicating their expertise in a lively, informative way that encourages students. ARU support their student in many other ways too which is mainly important for international students. Some of the main facilities for the students are unique timetable which means only two or three days of classes in a week. We provide core books for modules for completely free which is also a money saver option for many students. All our students are eligible for a Travel Bursary. We take great pride in ensuring that students are equipped with the necessary knowledge and understanding and those all-important transferable skills for the world of work. ARU London students graduate with the required work ethic, finely tuned analytical and problem-solving abilities and the ambition to overcome challenges. All of which goes towards ensuring a successful future career. With this in mind, all our undergraduate degree courses include a module in the first year on Business Skills. Undergraduate students can receive up to 25 scholarships of £1000 which will be awarded to applicants for academic excellence and the first year of study only. and for the 2nd and 3rd year students can receive up to £2000 scholarships depending upon the eligibility. To be eligible for a scholarship, applicants must have to achieve certain criteria. ARUL provides a number of scholarships each year across our three postgraduate intakes. All applicants are offered the chance to receive a scholarship of up to 50% off their Masters Degree. Any applicant who has achieved 79% or more in their undergraduate degree will be offered £1000 scholarship upon admission. If you’re a talented student-athlete, you can apply for our Anglia Ruskin Sports Scholarship worth £1,000. At ARU London we are committed to helping you succeed. We provide extensive support for all aspects of your studies. Our iCentre; Student Welfare Team; Finance Department; Academic Support Team and Learning Resource Centre are here to help support you throughout your studies. At ARU London, your well-being is important to us. Our aim is to ensure that our students are fully supported throughout their studies. We have a Welfare Team to provide support if you are in need of someone to talk to about any personal circumstances affecting your studies. The Academic Support Team (AST) provides one-to-one support for students who need help with their studies, including those with dyslexia or general learning difficulties. The AST has been active at ARU London for a year and has helped around 700 students with their studies with highly positive feedback.